In Apigee hybrid, a property set is a custom collection of key/value pairs that store data. API proxies can retrieve this data when they execute. You create a property set in the Edge UI or with the management API. The hybrid management plane validates the property set; if valid, the properties are stored in the management plane. The Synchronizer retrieves the property set data and stores it locally on the runtime plane. The Message Processor loads the downloaded property set and makes it available to executing proxies. Typically, you use property sets to store non-expiring data that shouldn't be hard-coded in your API proxy logic. 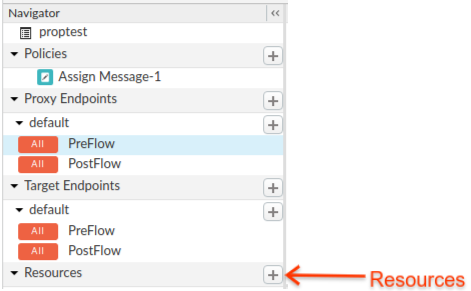 You can access property set data anywhere in a proxy where you can access flow variables. A common use case for property sets is to provide values that are associated with one environment or another. For example, you can create an environment-scoped property set with values that are specific to proxies running in your test environment, and another set for your production environment. In hybrid, you can use property sets for some of the same use cases as the key value map (KVM) feature. You create property sets on the management plane using a management API or the UI. Data is synchronized with the runtime plane. You cannot create KVMs on the management plane. You cannot encrypt property set data. You can only create and access KVMs using the KVM policies (at proxy runtime). Organization-scoped property sets: Properties are available to all environments and all API proxies within that organization. Environment-scoped property sets: Properties are available to all proxies within that environment. Proxies within other environments cannot access that property set. Proxy-scoped property sets: Properties are available only to that API proxy. No other API proxy, even those within the same environment or organization, can access that property set. You specify the scope when you create a property set, but which scope you can specify depends on whether you create a property set in the UI or with the management API . Property sets are a resource type in Edge. You typically store the values of property sets in a property set file that contains name/value pairs. Property set files support the same syntax as Java properties files; for example, they can contain Unicode values and can use # or ! characters as comment markers. message=This is a basic message. note_message=This is an important message. error_message=This is an error message. After you create a property set file, you upload it to your hybrid deployment using either the UI or the management API. UI: You can define the properties directly in the UI or in a property set file that you upload in the UI. Management API: You must define a property set file that you then upload with the management API. You cannot create or manage property sets using policies. This section describes how to create property sets using the UI. NOTE: When you create a new property set in the UI, the property set is scoped to the API proxy only. You cannot scope it to an environment or organization. For more information, see Property set scopes. (Optional) Define a property set file in a text editor. Open the Edge Management UI in a browser. Select Develop > API Proxies > proxy. From the File Type drop-down list, select "Property Set". Select the Import File radio button. Click the Choose file button, navigate to the file on your local machine, and select it. In the File Name field, enter a property set name. The name must end with ".properties". For example, if you want to name your property set "danger", enter "danger.properties" in the File Name field. TIP: If you uploaded a property set file, a common practice is to give the property set the same name as the properties file that you uploaded. Click the Add button. The UI validates and then stores your property set. When the Synchronizer discovers the new set, it downloads it, and propagates it to the cluster so that its values are available to all API proxies. If you did not upload a property set file, add name=value pairs in the resource editor as described in Update property sets. To create property sets with the management API, you define a property set file and then upload it to your hybrid organization using a POST request. NOTE: When you create a new property set with the management API, you can scope the property set to the organization or the environment. You cannot scope it to an API proxy. For more information, see Property set scopes. NOTE: If you use the management API to upload a property set file, you might need to chmod the file's permissions so that your upload tool (such as curl) can upload it. You can delete a property set using the management API or the UI. Click the Develop tab. A list of existing property sets is shown in the Navigator. NOTE: The Navigator in the UI only shows property sets that are scoped to the API proxy. To delete property sets scoped to an environment or organization, you must use the management API. This section describes how to update property sets. UI: You can update individual property values or the entire property set. Management API: You can replace an entire property set with a new property set file. You can update values of individual properties in a proxy-scoped property set by using the Edge UI. You cannot update individual properties by using the management API. In the Code Editor, make your changes to the property set. You can add and remove properties or change the values of properties. You can replace the entire contents of the property set by pasting over the existing values. To save your changes, click Save > Save as new revision. 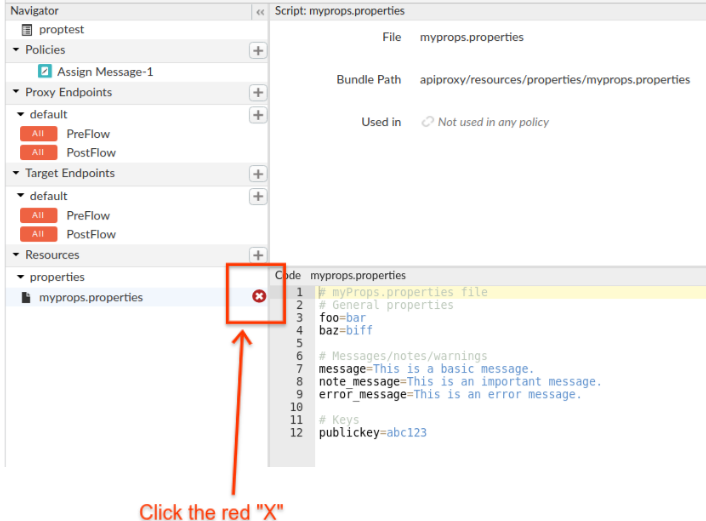 You can replace a property set with a new property set file by using the management API. The APIs for replacing a property set are the same as the APIs for creating a new property set, except that you use the HTTP PUT verb. property_set_name is the filename that you uploaded (if you used the UI) or the value of the name query parameter (if you used the management API). property_name is the name of the property. For example, if your property set contains foo=bar, foo is the name of the property and bar is the value. In addition to the limits described above, property set files must use the same syntax as Java properties files.